You know what it's like to juggle many roles and wear all the hats. You’re no stranger to responsibility, in fact, you rarely shy away from a challenge. You’re always looking for ways to grow and expand yourself. You’re committed to living a life that feels meaningful, satisfied and fulfilled. But more often than you’d like to admit, you feel overwhelmed — like you’re running in circles on a hamster wheel that you’re not sure how to hop off of. You have cycles of intense drive that are at times followed with self-doubt or disappointment — never feeling truly satisfied. Each time you start a new project you believe the results will be different, but you somehow find yourself in that same familiar spot — burned out, overwhelmed and just wanting to crawl into bed, pull the covers over your head and hide from it all. Or maybe your head is running wild with ideas but you can never seem to catalyze yourself into action. You feel defeated before you even begin. You're doing all the things you should do to create a happy life, yet it feels like something vital is still eluding you. Where’s the time to slow down and consider what you want? How can you focus on what you need when there are so many things on your plate? You can’t possibly stop what you’re doing. I used to run at 90 miles per hour doing all the things that I thought would make me happy and everything that other people expected of me to make them happy. Even though deep down I knew otherwise, I had convinced myself I was living a fulfilled life. The truth is I was running away from my heart — from what I deeply and truly wanted for myself. I did everything I thought I was supposed to do. And yet, I felt empty. Can you identify with that feeling? My path became clear. I finally saw a way out of the overwhelm, anxiety and pressure that had impacted my life for so long. I began truly listening to my heart and trusting where it desired to lead me. I courageously began taking big and bold actions. I stopped saying yes when I really wanted to say no. I gave up trying to please others or feeling responsible for their happiness. There’s a life that wants to be lived through you. You have a purpose that only you can fulfill. I have walked beside and witnessed hundreds of women going through the motions — just like you — holding it all together and hoping that their someday is near. I know it’s possible to breakthrough because I’ve done it. I stood on the edge of everything I’d ever wanted — with my heart racing and my palms sweating. And, I jumped. You don't have to wait for someday to start trusting and listening to your own heart. But, you do have to muster the courage to step into uncharted territory. To learn how to turn down the noise in your head and tune in to what matters most? 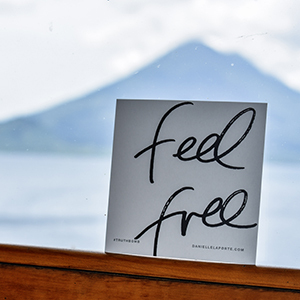 To experience and rely on the freedom of saying No to things that drain your energy? To be confident in making decisions that resonate with your heart and align with your values? To stop spinning your wheels being busy and allow more time to do what turns you on and makes you feel most alive? You could continue doing what you’re doing right now and be just fine. You’ll be rewarded for making things happen and you’ll have a “fine” and “successful” life. But is that enough for you? If safely going through the motions, day after day, isn’t going to cut it for you, then you’re in the right place. I knew my life was meant for something more and I was hungry and committed to discovering it. I also knew that to truly make the changes I wanted, it would mean doing things in a way I had not done them before. Ashlie’s coaching and listening have provided the space I needed to actually hear what my heart is saying. My mind is always judging, assessing and evaluating. Taking time for yourself for coaching or going on a retreat gives you the space to unpack the thinking and then you can finally be open to listening. When I started listening to my heart I was pulled to be closer to my friends and the energy that made me happy. Now that I feel I’m in alignment, I’m not swimming upstream anymore, I’m actually going with the flow. I’m trying new things. Will you dare to let your own heart lead the way? The next round of Wholehearted begins June 3, 2019. And a community of like-minded women who are going through a similiar experience to you. Let go of doing it all on your own. If you’re reading this, I know you’re ready and willing to let your heart lead the way. There’s no need to wait for someday. Your time is now. When you work with Ashlie you can expect an invitation to get in touch with your heart — to learn and understand your deepest desires in a way you never have. Her style is gentle and warm and she’ll invite you to explore different playgrounds of focus. After a few sessions, her sweet voice begins to meld with, and overtake, those negative tracks that have taken up space in your mind. My first retreat with Ashlie was equal parts calming and unsettling. Soothing and disruptive. Introspective and outwardly focused. From the first night when we were invited to “settle in” all the way through Day 4 (or was it 5? maybe 6? believe me you lose count) where we danced and were encouraged to express our emotions physically this was an experience of juxtaposition. It is a life-changing experience and you’ll come away with a deeper understanding of the powerful creation that your life is just waiting to become. Words truly cannot do Wildhearted Retreats justice, they, like Ashlie, must be experienced. I believe you are infinitely powerful and inherently creative. My work is about you knowing that truth, in the most undeniable of ways, so that you can embody it in every area of your life. My journey to freedom began over a decade ago when I attended a weekend workshop and discovered that I wasn't broken. That life-changing moment propelled me along an endless path of self-love and authentic living. In the decade since, I've come to know the wholeness of who I am, to trust my intuition for guidance, and to believe that I am worthy of what I most desire. I believe there is nothing sweeter or more liberating than loving ourselves exactly the way we are. 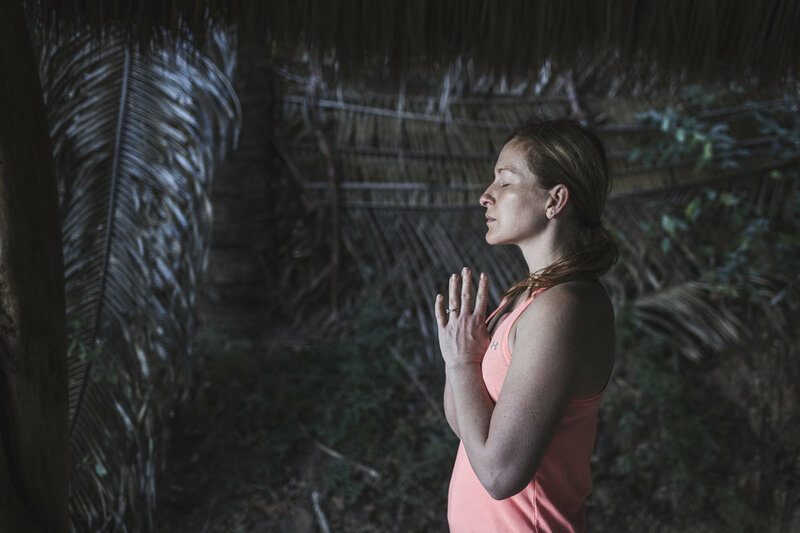 Join my newsletter and be the first to know about upcoming classes, events and retreats. Thank you! You’ll be receiving a little love note from me shortly. If you don’t see it, check your spam or promo folders to make sure it didn’t get lost.